A normal day for Dominic Foos is waking up and heading to the golf course. After that, he will play some more golf and later, more golf. Rough life, I know. Dominic is not your average high schooler, traveling around the globe to play in some of the best tournaments for teenage golfers. The feats he has accomplished at such a young age is surreal. I was able to ask Dominic a couple of questions about his career thus far. You are 15 years old and have won numerous tournaments throughout the world. There are videos of you up at 5 a.m. or earlier on the range or playing. What is your motivation? I am just always to get better and better. If I want to play professionally, I will have to earn it. With your early success, you have drawn comparisons to other child prodigies, such as Tiger Woods and Rory McIlroy. How do you cope with the pressure of such great comparisons? I feel no pressure on that. Some people like to compare me to other players, and I have no problem with that. To me, I think of it as an honor to be mentioned with some of the greatest golfers today. What does it mean to you to have such comparisons? It shows me that I am heading in the right direction. 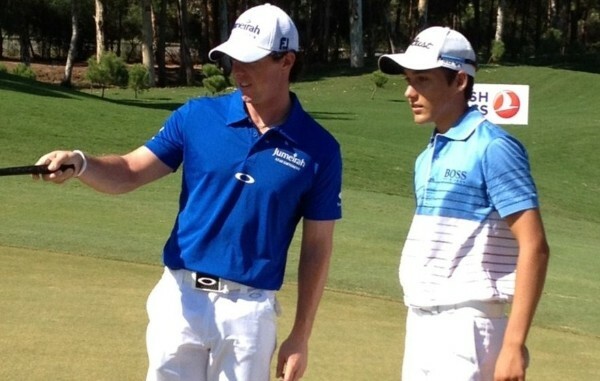 I saw you had a chance to play alongside Rory McIlroy in the Pro-Am in Turkey. What was it like playing with arguably the best golfer in the world? Today, what golfer do you look up to most? Yes, I had a blast with Rory. Turkey was an awesome time. Tiger Woods is the player to whom I look up most. He has proved himself to be one of the best golfers ever and I hope to be in his position someday. What was your experience like playing on the Junior Ryder Cup? Playing in Chicago alongside Europe’s best junior golfers was a great experience for me. Afterward, I got to watch an incredible Ryder Cup at Medinah and most importantly, a European victory! You were able to meet some of the European players at Medinah. What kind of advice did they give you? They really just told me to keep up the hard work and to have fun with the game. Since you were three years old, you have been golfing. Is there anyone specific you have looked up to? Who has influenced your game the most? My Dad. He has had a major influence on my game and the progress I have made thus far. Your website says you have been recruited by colleges throughout the United States. Some of the more notable golfers to leave Europe and attend schools in the U.S. are Graeme MacDowell and Luke Donald. Do you any desire to follow in their footsteps? To play college golf is for sure an incredible achievement. Personally, I prefer to focus on my game in Europe and to play in more tournaments here. After that, I hope to make it to the next level and play professional golf. What is your favorite golf course that you have played on and why? Leopard Creek in South Africa, no doubt. Not only is it an impressive, challenging course, but the surrounding area is beautiful. You were the first golfer to win the Audi Generation Award, you have been on the Junior Ryder Cup team, and the list continues. So far, what has been, in your mind, the greatest feat? I am always giving my best on everything and I cherish the opportunities I have had. Every award is great, of course, but I am really looking forward to what the future holds. Because you are such a great golfer, many forget you are just a 15 year old. When you are rarely not practicing or playing, what are some of your hobbies? Do you play any other sports? Unfortunately, the time is limited, but I enjoy playing table tennis and basketball. Plus, I love going to see new movies. Where is the coolest place you have ever been to? What made that destination so fun? I have been able to go to so many places, but Miami, Florida, is a very cool place. I can play golf at incredible courses there and while being surrounded by nothing but entertainment. What is the biggest goal you are looking to accomplish? I will do anything and everything to get to the top of the world one day. I would like to thank Dominic for his time. As he said earlier, he hopes to play professionally someday, and I would put my money on him accomplishing that dream. I wish him good luck and will be cheering for him in the future. This entry was posted in Golf, Home, National, The Peoples Voice and tagged Dominic Foos, Golf, Rory McIlroy. Last year, the world witnessed one of the greatest shots in the history of golf. Deep in the woods, Bubba Watson miraculously hooked the ball and dropped it 15 feet from the cup. He later went on to win his first green jacket. The Masters is once again upon us and the stage could not be bigger. There is a new world number one in Tiger Woods, going for his fifth jacket, while others look to break out of their lower rankings and win the most honoring golf tournament. As of late, the Tiger Woods of old appears to be back. The 14-time major champion has endured both physical and, obviously, personal setbacks, but Woods seems to have overcome all negativity. He is back to full health and reclaimed his number one world ranking. Plus, Tiger has learned a couple of putting tips from the great Steve Stricker, making him that much more lethal around the greens. He has 3 to 1 odds of winning at Augusta this year, and I would look for him to win jacket number five. A majority of the golf world and its amateur golf fans, which includes myself, are already picking Tiger to win without giving it a second thought. Though I know a couple of things about golf and strongly believe Tiger will win, I do acknowledge the rest of the field, and possible players who could pull out an upset. However, Rory McIlroy has been off his game since signing his deal with Nike worth hundreds of millions of dollars. Also, only four players have won the Masters in back-to-back years, and I am doubtful Bubba Watson will become number five. Phil Mickelson even admitted he is nervous for this years Masters, but on Sunday I still see him finishing in the top ten. 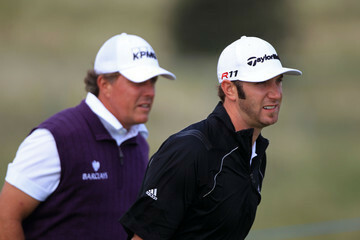 Two players I could see possibly winning the Masters are Dustin Johnson and Luke Donald. At 28, Johnson has been close to winning his first major championship twice. I see him making a move that wouldn’t be substantial other than shaking up the scoreboard. I do not necessarily see Luke Donald hanging around the top five leaders, but I definitely want him to. Donald had the number one ranking last year for a period of time and has longed for that elusive first major in his twelve year career. Anything could drive Luke to shock the world and win his first Masters tournament. Oh, and there is a 14 year old in the field this year. Tianlang Guan is from China, and is only in eighth grade. 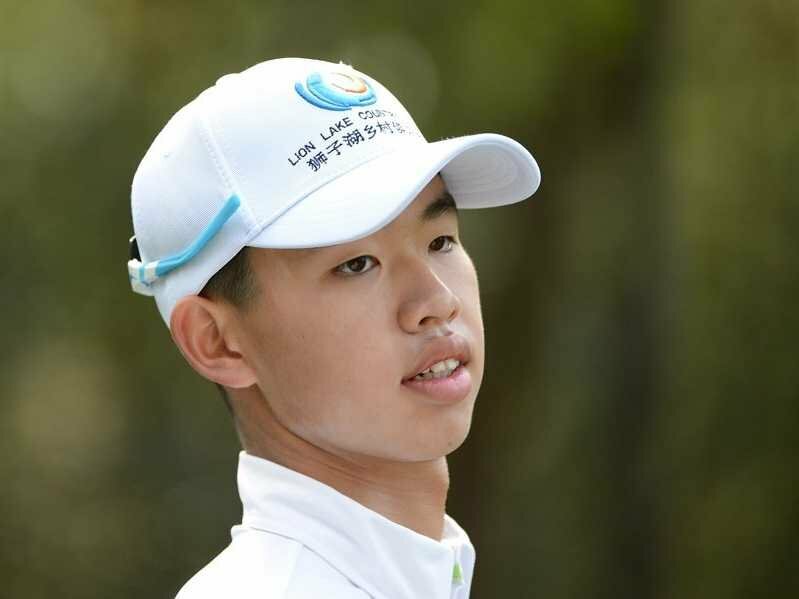 At 14, he is the youngest player to ever compete in a Masters tournament. I think some people are failing to grasp how incredible this is. I definitely wish him the best of luck on Thursday when he plays in the biggest match of his life. Full of rich tradition like no other, August Golf Club in Georgia will hold what is hopefully an incredible Masters tournament this weekend. 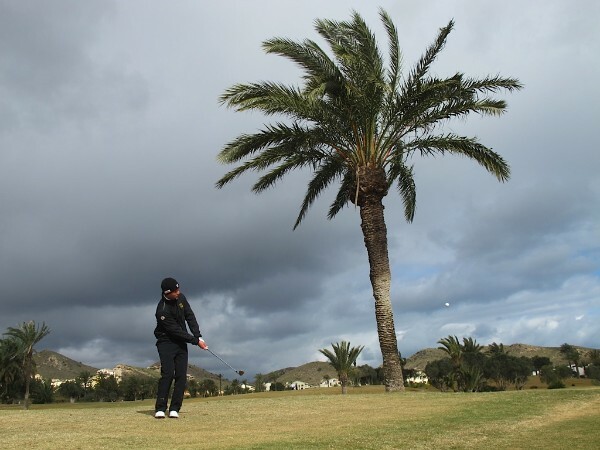 With beautiful scenery and an interesting field, only God knows who will be wearing the green jacket on Sunday. All players will be on full display as the world’s best compete in the greatest golf championship. This entry was posted in Golf, National and tagged Augusta, Bubba Watson, Luke Donald, Masters, Phil Mickelson, Rory McIlroy, Tiger Woods.